This league is currently in progress and is scheduled to end on September 19, 2016. SHPL 2016 Season III starts on the 23rd. Help us promote the league and get a preliminary head count by clicking "going" on the event for the 23rd, even if you plan to come on Thursdays. We are only creating one listing. LEAGUE MEMBERSHIP IS FREE! Just pay the coindrop . . . 4 games per week. Play Mondays but please check-in by 6:45 PM either on site or via text to 330-285-3947. 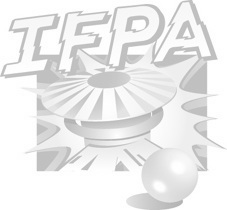 League IFPA approved. All ages and skill-levels are encouraged to join. We have multiple divisions with prizes and trophies for leaders in every division. And random-prize drawings. All active players receive entries. All eligible players may use pre-play games to count for up to 2 missed weeks and/or to replace a lowest weekly score earned. All players who wish to be eligible to make up for an absence or to replace their lowest weekly score for one week (bonus-replacement score), must: (a) Pre-play a full set of 16 games to be completed by the end of the 4th week of regular season play and (b) must attend a MINIMUM of 3 weeks of regular-season play. Pre-play sheets will be distributed and collected each league meeting for the first 4 weeks of the season. Pre-play games may be played only ONE time and scores must be verified by a league official. Failure to play all 16 pre-play games or attend league a minimum of 3 weeks for match play renders a player ineligible for make-ups or replace score. New players may join the league at any time but absences and bonus replacement scores will only be applied if players meet eligibility requirements as outlined above.